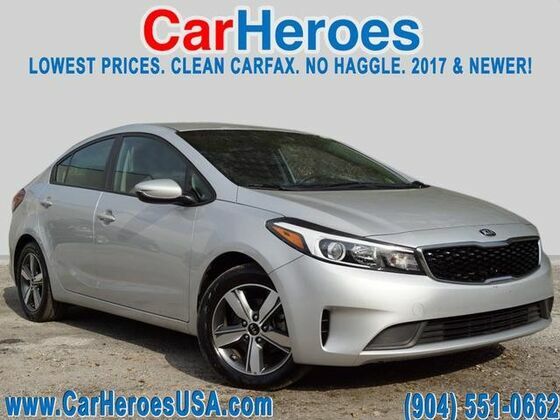 You can find this 2018 Kia Forte LX and many others like it at CarHeroes. This Kia includes: LX REAR CAMERA PACKAGE Back-Up Camera SILKY SILVER *Note - For third party subscriptions or services, please contact the dealer for more information. * Your buying risks are reduced thanks to a CARFAX BuyBack Guarantee. Save money at the pump with this fuel-sipping Kia Forte. Look no further, you have found exactly what you've been looking for.